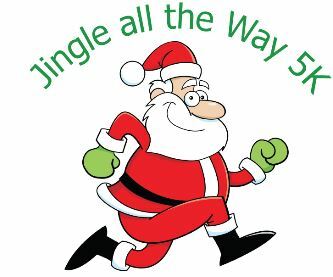 Calling all Santa’s and Santa’s helpers – the Jingle All the Way 5k is a Christmas themed race, hosted by the Mint Hill Police Department encouraging runners to dress as Santa to show their holiday spirit! Proceeds will benefit the MHPD Volunteer and Explorers Program! Come join us for our 1st annual 5K Jingle All the Way run/walk. The event will be hosted rain, snow, or shine; please plan accordingly. As this event is centered around the holidays, lets make it fun and see how many can arrive and run/walk dressed as Santa or his helpers. For our younger runners or young runners at heart, Santa will likely stop by and make an appearance. Friendly pets are encouraged provided they are on a leash.